Perth-based company, Duralok has developed an alternative to timber fencing that is suitable for commercial or domestic purposes. Duralok chief executive Paul Felt explained the appeal of this timber fencing alternative - “The product in effect has been designed to protect the fence from Australia’s harsh sun damaging conditions. The Duralok timber fencing alternative is made from a proprietary formulation of Polyvinyl Chloride (PVC) which includes a local formulated UV formula. 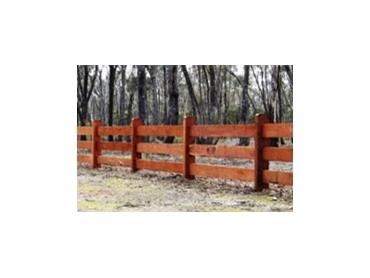 It looks like a timber fence but requires no painting or maintenance and is white ant resistant. Duralok timber fencing alternative is distributed in Victoria by Norwood Products . Felt points out that the Duralok Privacy Fence meets the fencing requirements in all locations and that one of its most attractive features is the fact that it is maintenance free.